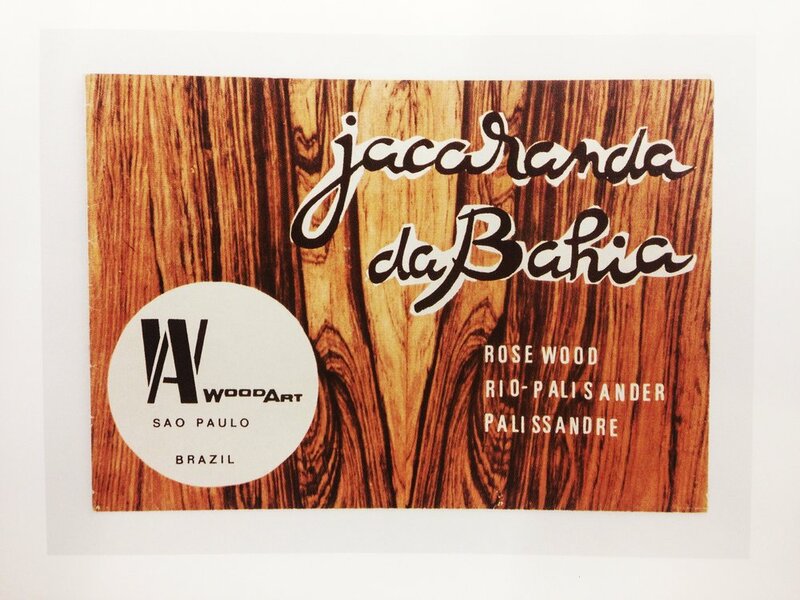 Brazil itself was named after a tree and, appropriately, the story of modern Brazilian furniture design also begins with Brazilian wood. For much of the 20th Century Brazil fostered a thriving design market and Brazilian furniture from the 1950s, 60s and 70s featured a familiar modernist sensibility but with a vivacious twist. Designed in 1915, the Cama Patente is generally considered the earliest example of modern mass-produced furniture originating in Brazil, which parsimoniously replaced the ubiquitous iron frame beds imported from England at the time with a type of local rosewood called caviuna. Brazilian design would then evolve into a quest for "authentic modernism," combining lustrous indigenous materials and traditional local craftsmanship with European references and Bauhaus geometries to form a unique aesthetic. Two early visits by the Swiss-French midcentury modern architect Le Corbusier reinforced the idea and was followed by the groundbreaking 1940 MoMA exhibit on "Organic Design in Home Furnishings" that featured a Latin American section. 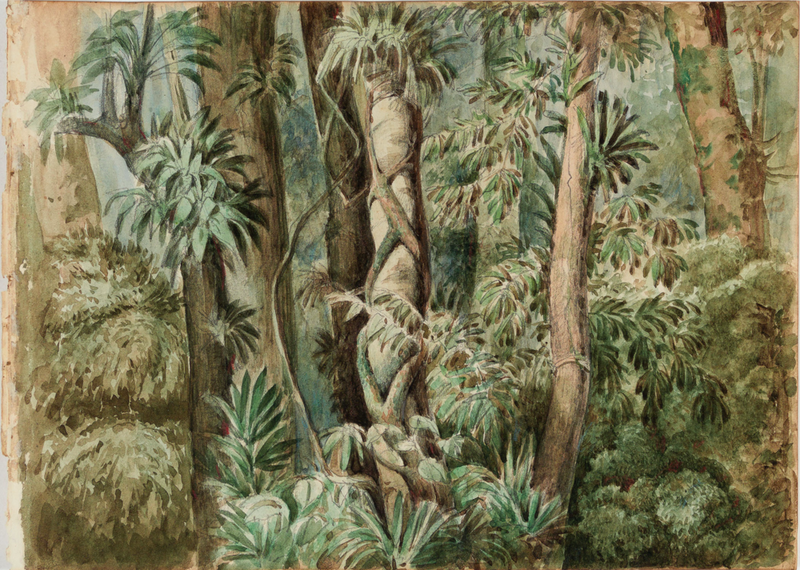 European immigrants adapted the aesthetic of the old world and used mellifluously named woods such as jacaranda, imbue, cabreuva and roxinho to construct distinct pieces that alluded to the rain forests, gauchos and fishermen of their new home. Joaquim Tenreiro, a pioneer of furniture design in the mid 20th century, highlighted lightness as "a principal to which I felt modern Brazilian furniture should adhere ... lightness which has nothing to do with weight per se, but with grace and functionality in space.” Sensuous curves, tropical woods, woven leathers and traditional techniques like caning and netting were all part of a style that developed in Brazil from the 1940s to the 1970s. While greats like Oscar Niemeyer and Sergio Rodrigues have earned their country a place in the canon of architecture and design, Brazil hasn’t gained the same renown (or reached the astronomical auction prices) for modern furniture design as France, Italy, or Scandinavia, despite having a rich tradition of modernism that continues today. Carlos Junqueira, the dealer behind acclaimed Brazilian design emporium Espasso, reflected on the world’s perspective on Brazilian designers in a recent interview with Architectural Digest : “There was a time when people only knew Niemeyer, but there are so many talented designers and architects before and after him.” Espasso, which opened in New York’s Tribeca neighbourhood in 2002 and is devoted entirely to vintage and contemporary Brazilian furniture, now has 4 branches across the globe and interest in Brazilian design is growing. But why is Brazilian furniture only now beginning to capture the international plaudits it has always warranted? First, much of the furniture was created in limited editions or as one-off pieces for private homes and this has limited the organic development of a market - determining an appropriate price for items was always difficult. The nail in the coffin came during the Brazilian military dictatorship, which made it against the law to export furniture. Although lifted when the dictatorship ended during the 1980s, it has taken time to for things to change. Today there are signs that these designers are finally getting their due. With last year's "Moderno" show with an exhibit on Latin American urban design at the Museum of Modern Art in New York and this year's release of an exhaustive compendium on Brazilian furniture by Aric Chen entitled Brazil Modern, Brazilian furniture is finally back. 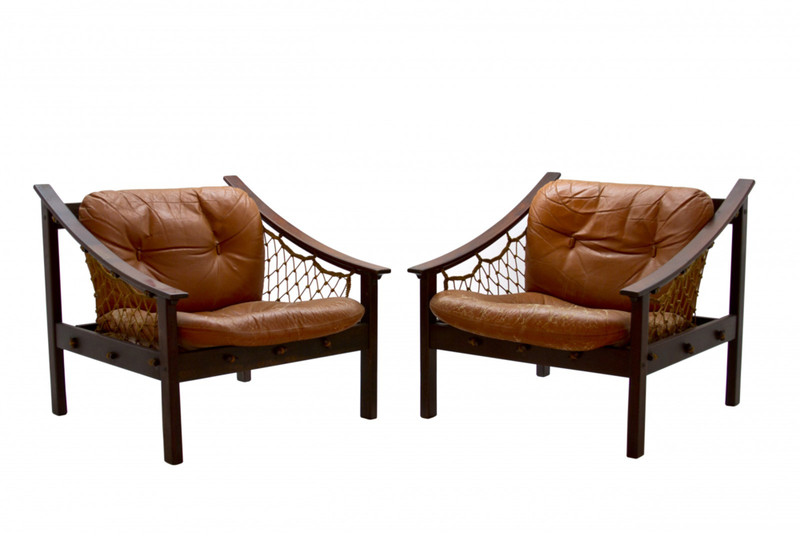 Brazil is perhaps one of the last — if not the last — great discoveries of 20th-century furniture. Sérgio Rodrigues (1927-2014), along with Joaquim Tenreiro and José Zanine Caldas, was the pioneer that transformed Brazilian furniture design and made it known worldwide during the peak of his career in the 1950s and 60s. 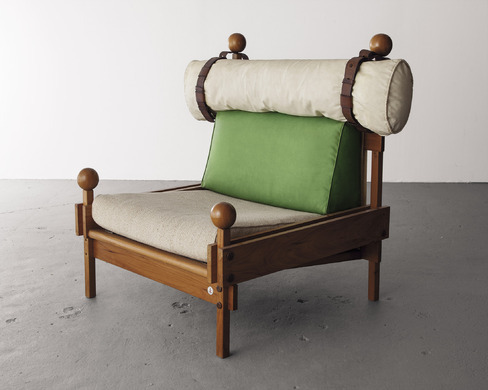 Rodrigues brought a Brazilian identity to his modernist projects, both in the design and the use of traditional materials such as leather, wood and rattan and exalting the native culture. The carioca designer was also a contemporary of Oscar Niemeyer and Lúcio Costa, and his furniture was utilized in large scale in the construction of Brazil's capital Brasília. In 1955, Rodrigues founded the furniture company Oca (now closed), named for an indigenous thatched dwelling, to showcase his designs and the laid-back Brazilian lifestyle. At its peak, Oca had a large factory, stores across Brazil and an affiliate in Carmel, California. Joaquim Tenreiro (1906–1992) was born in Portugal into a family of carpenters. He emigrated to Rio de Janeiro in the late 1920s and, by the early 1940s, Tenreiro was among the first designers in the Brazilian furniture industry to adopt a European modernist vernacular. His initial efforts, including the 1942 "Poltrona Leve", met with considerable success and in 1943 he established his own firm with factories in Rio de Janeiro and São Paulo. One of his main clients was Brazilian architect Oscar Niemeyer, for whose houses a number of pieces were originally commissioned. Taking advantage of indigenous Brazilian hardwoods and designing with the Brazilian climate in mind by keeping pieces light and often using wicker or cane, Tenreiro evolved a distinctive style suited to local conditions. 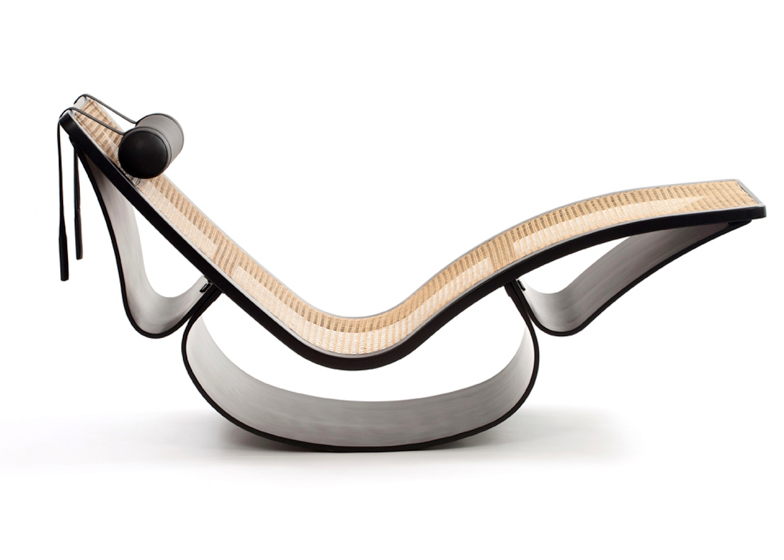 His 1947 "Cadeira de Embalo" (Rocking Chair) is still in production. An example of his iconic "three-legged chair" sold at auction in 2008 for over US$ 90,000. José Zanine Caldas (1919- 2001), known as the Mestre da Madeira or 'master of wood’, was also an accomplished, and self- taught, architect, urban planner and artist as well as a designer. Along with his strong environmental designs inspired by his upbringing in Bahia, he was the architect behind dozens of houses in the upmarket neighbourhood of Joatinga wedged along the dramatic Rio de Janeiro coast between Leblon and Barra de Tijuca. Lina Bo Bardi (1914-1992) emigrated to Brazil from war-torn Italy with her art critic husband Pietro Maria Bardi. As an architect-designer In Italy she had worked with the great Gio Ponti but found sanctuary in Brazil where everything seemed possible. Her husband would cofound the São Paulo Museum of Art (MASP), whose glass-and-concrete building his wife would design. In her architecture and furniture, Bo Bardi pursued the essential and authentic, not only by absorbing native customs but by prioritising human activity. Although mostly famous for her architecture, her Bowl chair was once considered revolutionary and made the cover of international magazines and her Bola chair, a sling of leather stretched and laced over an iron frame capped by orbs of brass, was made specifically for the architectural masterpiece Casa de Vidro (Glass House), the São Paulo residence she designed for herself and her husband. Oscar Niemeyer (1907-2012), Brazil’s most famous creative, came late to furniture design after being forced out of the country by the military dictatorship in the 1970s. While living in exile in Paris, he began teaming up with his daughter Anna Maria and produced some iconic pieces replete with his signature curves. Zanini de Zanine is the son of celebrated Bahian artist, architect, and designer José Zanine Caldas, Zanini studied industrial design in his native Rio de Janeiro before interning for Sergio Rodrigues, the father of Brazilian furniture. Despite his strong influences, Zanini has developed a singular aesthetic sense, creating elegant, mod furnishings that are as much a celebration of their materials as they are pieces of furniture. Guilherme Wentz launched his debut collection at São Paulo’s Design Weekend in 2016. Pairing minimal shapes with luxe materials, the 29-year-old designer celebrates his national heritage by using many local materials and producing his furniture in small, specialty factories in southern Brazil. Concepts like the Officer desk (shown) reveal Wentz’s penchant for combining luxury with smart design. With the Maison & Objet Americas Designer of the Year award for 2016 already under his belt, the design wunderkind has a promising future. Claudia Moreira Salles is a native of Rio de Janeiro and hails from one of Brazil's wealthiest and creative dynasties that stretches from banking to Oscar winning films to philanthropy. Salles cut her teeth at the Design Institute of her home city’s Museum of Modern Art and the Brazilian furniture company Escriba before setting out on her own. Since then, she’s become known for wood furniture with geometric silhouettes. Newer PostIs this the best restaurant in São Paulo?